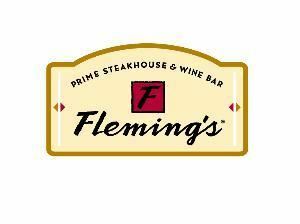 Special Features: Wine Spectator recently honored Fleming's with 37 Awards of Excellence. Gorgeous view of Centennial Park. The new AC Hotel Nashville Downtown is one of three hotels located at 410 5th Avenue South. The AC is located across the street from the Music City Center & steps from the Country Music Hall of Fame, Ryman Auditorium, Bridgestone Arena & the famed Lower Broadway featuring classic Nashville honky tonks. The full-service hotel features 209 thoughtfully-designed, modern guest rooms, including a top-floor Presidential Suite. Our 21st floor Heartland Ballroom featuring floor-to-ceiling windows overlooking Nashville’s downtown skyline. Our banquet team will provide a seamless experience, and we will sweat the small stuff, so you don’t have to! At AC Hotel Nashville Downtown we know the difference between something made and something crafted. Our attention to detail will make your day one to remember for you and your guests alike. Dave and Busters - Opry Mills offers over 5000 sq feet of private event and semi private event space. We offer an array of team building activies as well as cosmic bowing and video gaming! Our event space includes full AV and complimentary parking. We are the perfect venue for meetings, holiday events, wedding events, graduations or class/family reunions!